Morgan Consulting Engineers can provide full soil testing services for your next residential project. Our services can be used for a variety of projects including brand new houses or unit developments, residential extensions and pre-purchase site investigations. A soil test can be used on a vacant lot to determine issues on site prior to purchase and our report can provide insight into these matters. A Site Investigation determines the overall level of movement on the site and depending on the site classification, the appropriate slab and footing design is selected. Incorrect site classification can lead to problems with building movement and incorrect design details and so it is imperative that the soil test is carried out with precision and the site is classified properly. 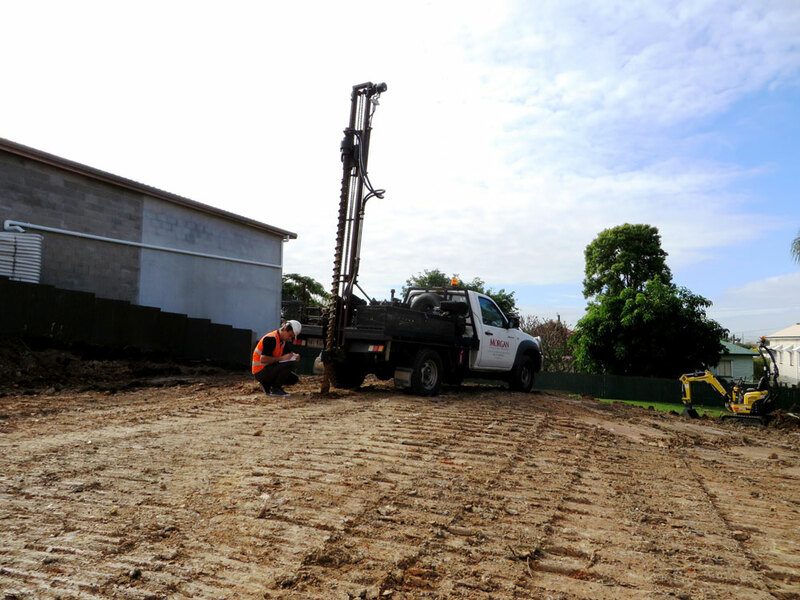 The benefit to selecting Morgan Consulting Engineers for your soil testing needs is our comprehensive design package which results in efficiencies and in both cost and time. Contact us today for a quote.